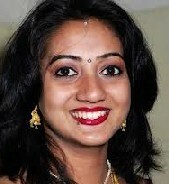 On Saturday 17th November, pro-choice supporters will gather outside the Irish Embassy in London to mark the death of Savita Halappavanar who died after being refused an abortion at a hospital in Galway, and to call on the Irish government to change its highly restrictive abortion laws. Hundreds of supporters, including Abortion Rights and the Abortion Support Network, held a vigil outside the Embassy on Thursday evening to express their solidarity with the Irish pro-choice movement and demand action from the Irish government. Abortion Rights will be there again on Saturday, and we hope that the many supporters who were unable to make it on Thursday will be able to attend this time. It is vital that we let the Irish government know that the world is watching how they respond to this tragedy and to keep the pressure on them at this key time, in the hope that some positive change can come from Savita’s unnecessary death. Please publicise the event using the hashtag #Savita.